Rain, rain, rain. Looking for a silver lining? Mushrooms! 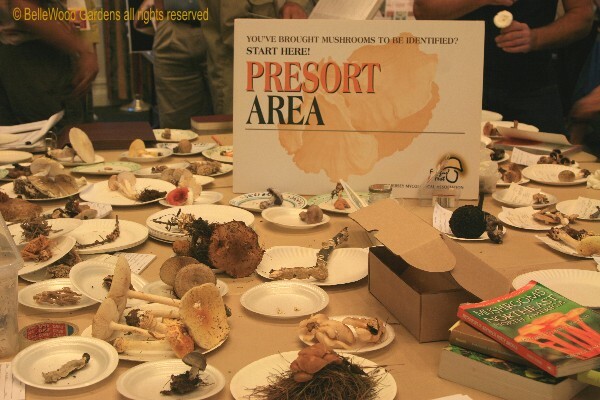 It's been a fantastic season for mushrooms. 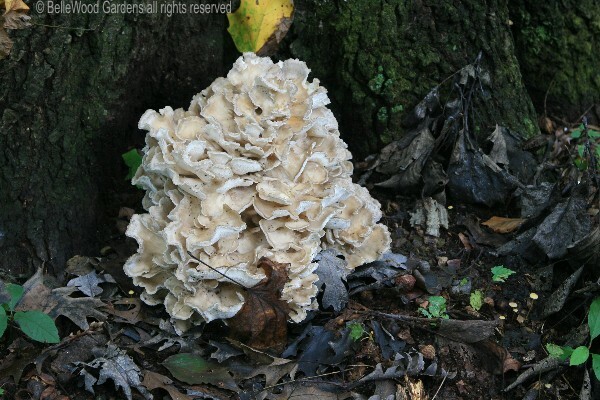 Just last Tuesday I found some wonderful, delicious hen of the woods, Grifola frondosa. (See here and scroll down past the flowers.) 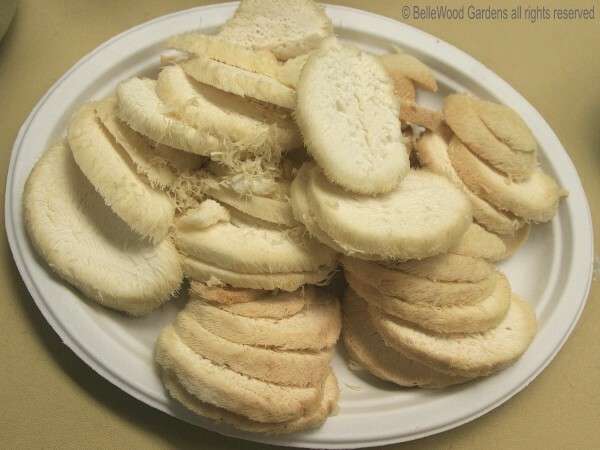 While searching for additional recipes I came across the New Jersey Mycological Association's web site. 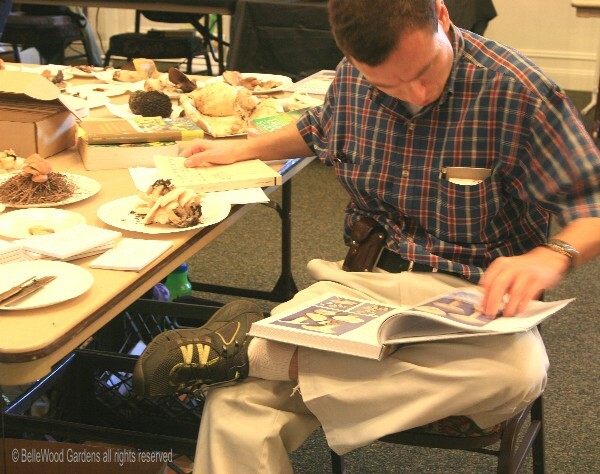 Even better, they're hosting an event this coming Sunday at the Frelinghuysen Arboretum in Morristown, New Jersey. Count me in. I'll be there. 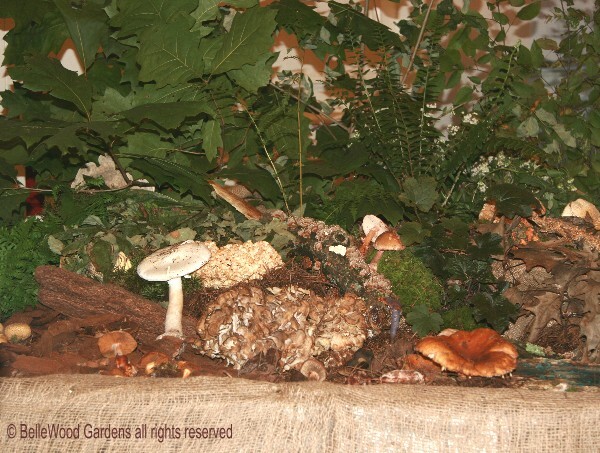 a piece of forest floor, with plants, fallen leaves and branches, a box turtle's carapace - and mushrooms. There were several warning signs. 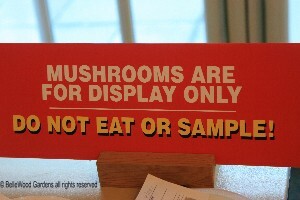 Look, Touch, but Do Not Eat. field guides, and assiduously did their best to accurately provide each unknown with a proper name. 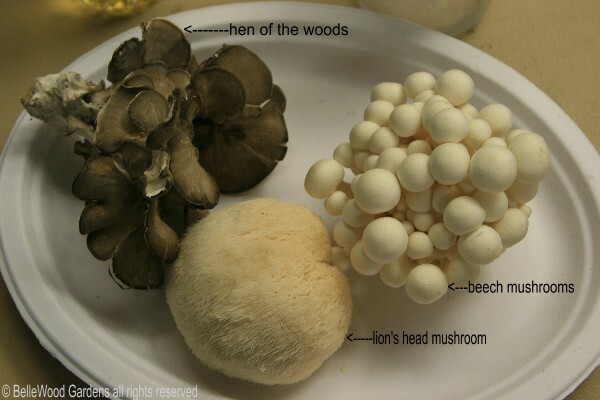 with 3 different kinds of mushrooms gave us an inkling of the culinary possibilities about to come our way. 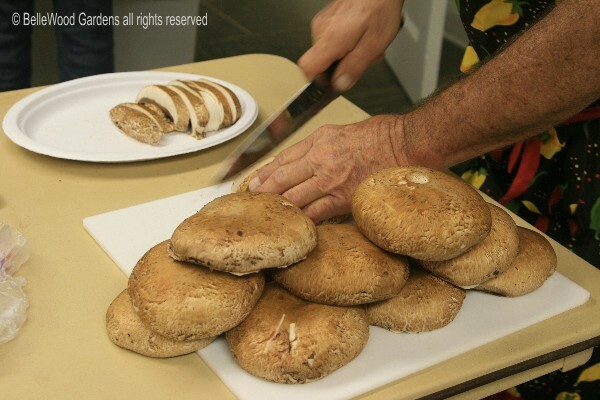 A sous chef was preparing the mushrooms, slicing the cleaned caps. 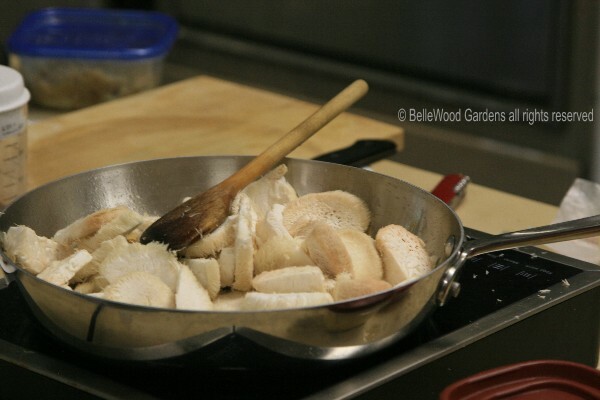 is to sauté, evaporating the liquid while constantly stirring and moving the mushroom pieces in the pan. olive oil, a generous scattering of diced shallots, a touch of diced garlic and another of diced ginger. Keep stirring. A knob of butter. Dust well with flour. Keep stirring. A splash of water. Stir. More water. Some goat cheese, mashing and stirring all the while to incorporate it into the sauce. Heavy cream. Sherry. line up again for seconds. Besides, there were more displays to visit, both downstairs and upstairs. And on the way home I stopped off at Jerry's. We went into the woods and yes! more hen of the woods. 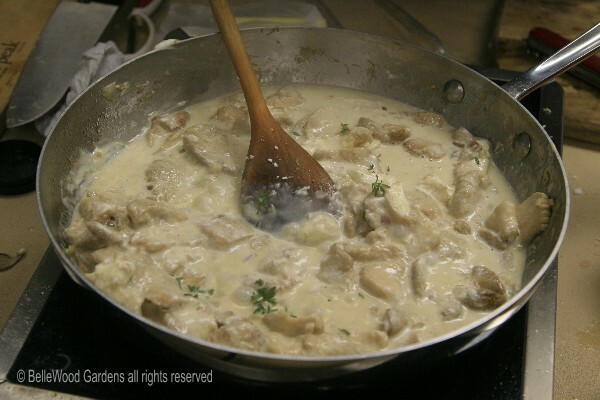 white sauce with hen of the woods. What shall I call it . . . . double chicken, hen and chicken . . . .
Who cares. Let's just eat. Bon appetit.